OVERCOMING INEQUALITY through DIALOGUE Ramón Flecha&Marta Soler University of Barcelona February 29, 2012. SOCIAL MINEFIELDS of LATIN AMERICA CESAR RODRIGUEZ-GARAVITO University of the Andes, Bogata February 15, 2012. INSURGENCY&COUNTER-INSURGENCY in INDIA NANDINI SUNDAR Delhi University February 8, 2012. SOCIOLOGY BETWEEN TRUTH&POWER WALDEN BELLO March 7, 2012. THE DILEMMAS OF SOCIOLOGICAL INTERVENTION MICHEL WIEVIORKA Fondation Maison des Sciences de L'Homme April 4, 2012. GOVERNING PALESTINIAN REFUGEES SARI HANAFI American University of Beirut March 21, 2012. THE POWER OF COMMUNICATION MANUEL CASTELLS University of Southern California, USA and Universitat Oberta de Catalunya, Spain February 1, 2012. 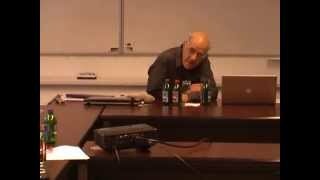 TRANSFORMING THE SOUTH AFRICAN STATE KARL VON HOLDT University of Witwatersrand March 14, 2012. POWER FROM BELOW FRANCES FOX PIVEN City University of New York April 25, 2012. WHAT IS PUBLIC SOCIOLOGY? Michael Burawoy University of California, Berkeley, USA January 25, 2012.